Tell us a about the history of Airhead Parts. How did it begin? I started Karmann Ghia Parts and Restoration in January of 1989. I began making parts for Ghias in 1992. I found that “cross over” parts, those fitting other VWs in addition to Ghias (like wiper grommets or horn buttons), had much higher sales volume than those fitting Ghias only. At that point I knew sales totals for Karmann Ghias were always going to be low, so we made our first part for the Beetle, a 1960-61 turn signal switch. At that time we also started a little wholesale company Ventura Warehouse Group (most people just call it VWG) to wholesale out these non-Ghia parts. That was in 1998. In 2004 Walt Disney Pictures called up VWG to place an order for a mountain of parts for 20 early 60s Bug rag tops. I knew they were making a new Herbie Love Bug movie. 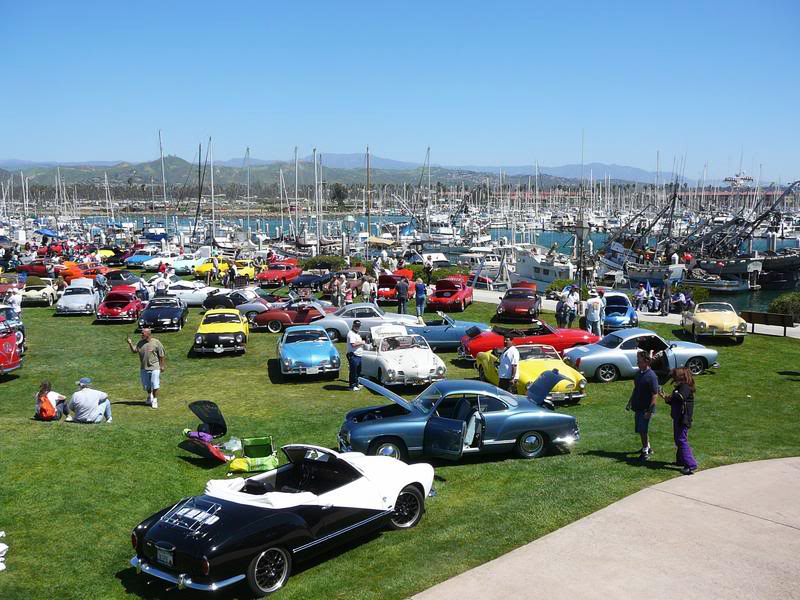 At the time we were in the planning stages for the 50th Karmann Ghia Anniversary Cruise. L.A to Osnabrück Germany. I was already talking to VW of America about being a sponsor. So now Disney was in the mix. 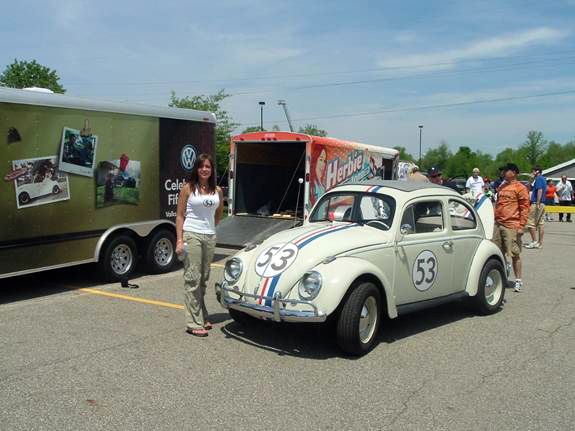 When they both said “OK”, it became the “Herbie and Friends Cruise Across America”. I decided then that Airhead Parts would go full retail with a new website and a new print catalog. That was in 2005. How many people work at Airhead Parts? Who are they? There are currently 17 people at AHP and they are the great part of this business. I have been very fortunate to get some well known VW veterans as my employees. When Rocky Mountain Motorworks went under in 2003 (while the vultures were picking over the parts) I grabbed their three best people to work for me. Also being here in California with thousands of VWs still on the road, I am able to hire Vintage VW enthusiasts for sales and purchasing. This makes a huge difference because they know part quality and how most parts install. There is so much reproduction junk out there and they help AHP avoid most of it. John Graham, Jim Thompson, Rodney Cooper, Maurice Richard are some of the VW vets you may know, but I have others like Dave Liddell, Sid Ostic, Andre Toselli, Jason Stakely and Gene Allen. I also have a great warehouse manager named Mike Doty. He and his crew get 95% of everything out the door the same day the order comes in. I know back when I was a customer I really appreciated getting my parts quickly. Tell us a little about Ventura Warehouse Group. 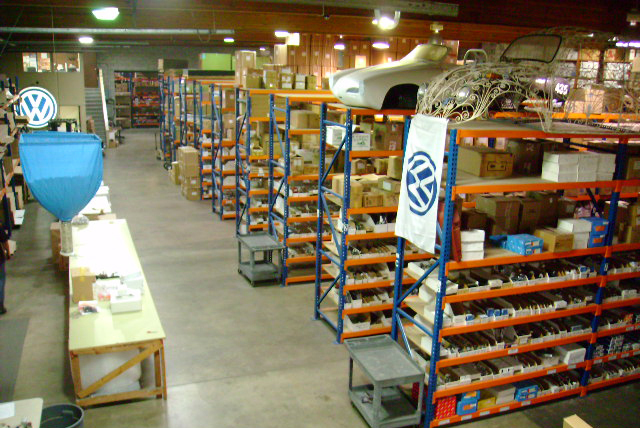 As I mentioned before, I started Ventura Warehouse Group in 1998 to sell classic VW parts we exclusively reproduce or import in bulk quantities. We currently make about 800 different parts and stock nearly 9,000. We are adding about 100-200 new parts each year. The unique thing we do is; our wholesale pricing is based on quantity. The more you buy, the cheaper it is. That way, people who are thinking about making their own parts won’t. The reason those who could make the parts don’t is that the cost of the tooling and first stocking order (often a multi year supply) to save 20% or 25% (over buying from me) doesn’t make since. On top of that, all my parts have a lifetime guaranteed. VWG is the ONLY place I know that will RECALL a part if there is a problem. We have only had to do that 3 times in 14 years, but I think it pays in the long run… to be responsible for your faults in the short term. I have Bugs, Busses, Ghias, and Vanagons that I drive on a weekly basis. These are the VWs all of our reproduction samples get tested on. I am VERY particular about quality because that is again, good business in the long term. What makes Airhead Parts different from other Volkswagen part suppliers? Our Mission Statement says it all: “The Most Parts at the Best Price with Friendly, Knowledgeable Service”. We have tech videos we produce in-house and air on our YouTube Airhead Parts Channel. 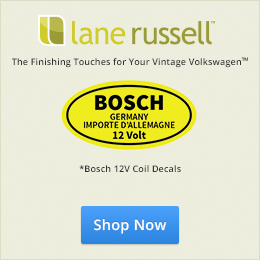 We also restore VWs on an ongoing basis. Not commercially, but for the guys and gals that work here. When we find a part particularly hard to install or not as it should be in some form, we reproduce it. Customers coming forward that are unhappy about some part is key as well. This does not happen nearly enough. There are a lot of people out there that keep the headaches to themselves; I want to know about it! You reproduce your own parts. What is the process like for such a task? How do you choose what products to reproduce? If any of those thing are lacking (or over the top in the case of #3) that part is a reproduction candidate. Then I work from an original sample. The Germans did it right on 98% of everything they made. But still I like to have an NOS and Used version to compare. Improvement over the original is sometimes possible. I might add a little extra material to a place that is prone to breaking (like the late model Bug and Ghia Visor Clips) or more typically, I use better materials now available. For rubber that would be something like Viton. For plastics, let’s just say we have come a long way from Styrene! But most important is considering the environment the part will be subject to. EPDM is great for some applications and horrible for others. Will there be gas or oil or water or high temperature or compression, shear, or abrasive forces at work? But that is the easy stuff. The things I don’t have control of can make or break you, which is often frustrating. I was lucky when I first started in 1992 to have a fair string of well received reproduction parts. But through the years I’ve had my share of repros with thousands of dollars invested that I will never see back. But it is easier now that I make so many and the winners can absorb the losers. Airhead Parts makes a very high quality replacement Volkswagen steering wheel. Can you speak a little about that? This wheel was in development for something like 5 years. The combination of the correct plastic and inner metal structure was critical. On the second batch we started getting a few warranty returns from customers because of cracks. I later found that the tooling was not being heated properly before casting and the first few dozen in each run were prone to cracking. So the problem was found and corrected. We replaced a few steering wheels along the way, but that’s part of being in this business. How long has the Airhead Parts VW Treffen been going on? Lee Hedges of the Type 34 Ghia Registry came to me in 1999 and said, “Let’s do a Karmann Ghia only show”. This coming year (in 2012) will be our 14th show. We have been open to all rear engine VWs since 2006 (of course a lot came along on the Herbie Cruise the year before). And there are sill more Ghias than anything (70 is our record). It is currently a free show with free parking, great (and reasonably priced) food, all right it Channel Islands Harbor Park at the waters edge. The reason we switched it from spring to summer is the temperature there is typically 75 degrees in the middle of summer, which is a great break from the August heat inland. The highlight for me is the Treffen Hwy 1 Cruise, which is the week before the Treffen Show. We leave the Rose City Bug-in in Portland Oregon either the last Sunday of July or the first Sunday of August and spend one week cruising down the Pacific Coast on the famous Hwy 1. 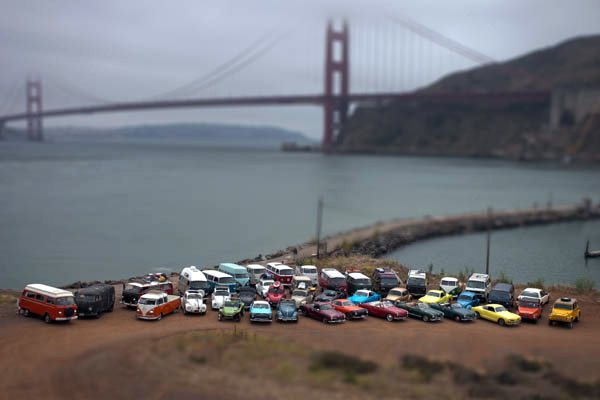 Last year we had 47 VWs parked in front of the Golden Gate Bridge. 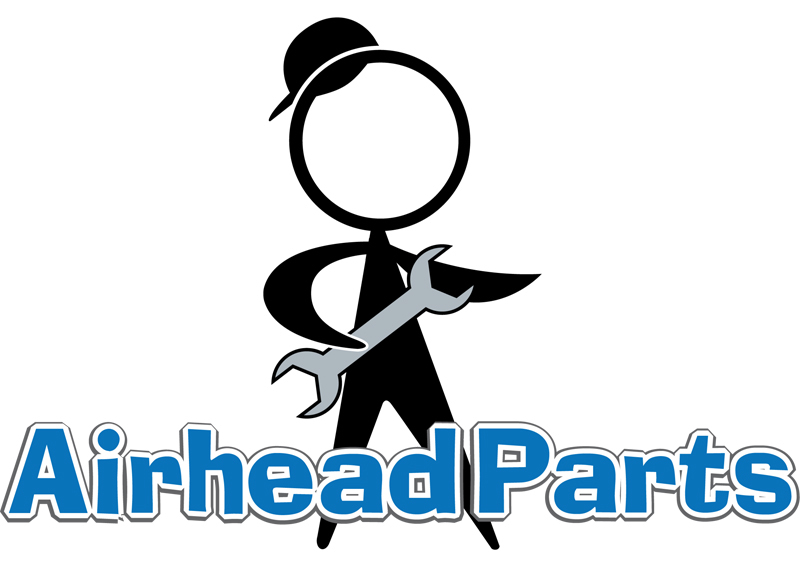 How can Airhead Parts be reached if someone has parts needs? 805 650 2045 or 800 927 2787 or airheadparts.com Anyone with a Ghia should go to karmannghia.com. We also accept used parts or cores for credit or cash. Does Airhead Parts stock NOS items? 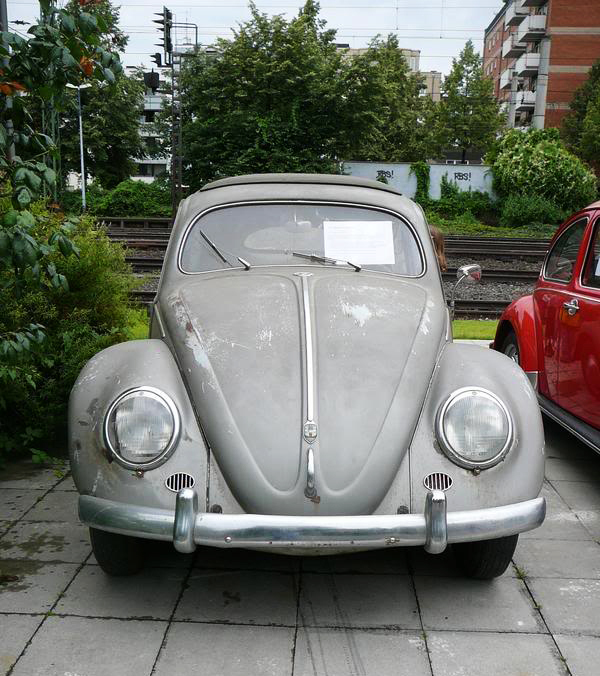 What advice would you give someone wanting to restore a vintage Volkswagen? JUST DO IT! VWs are still the most economical car on the road today. Save one from the junk yard! When you are done with your restoration, you have that great feeling of accomplishment. Your VW is worth more every year from then on. You also are driving a car that not everybody has. I liked vintage cars as a teenager. Working on them was fun, but getting the thumbs up from someone in a car costing 10x as much was way cool! First, choose your project carefully. If it’s got a good body, nothing else matters. Look for previous body repairs (beware the “fresh paint” VW!). Some isolated rust or an accident (even substantial) is better than a little rust or damage spread around the car. The worse a body is, the less likely it is that even a talented body man (panel beaters) can ever bring it back. AND (big ‘and’ here) the sky is the limit cost wise, which is not so with mechanical and upholstery. You will also likely get a much better deal on the ugly duckling. Tell us about future plans for Airhead Parts. To keep growing (based on our Mission Statement) and one day in the not too distant future, be the biggest in the Vintage VW business. Yeah. Being a parent is my number one job. If it sometimes feels like you can’t win, don’t despair. As long as your kids know you love them, that’s what matters. 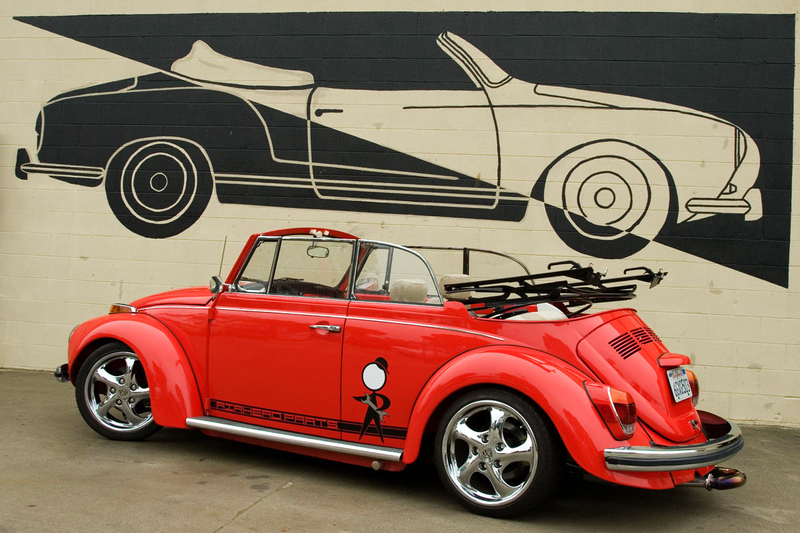 A big thanks again to Scott Dempster and the rest of his crew for doing this interview for 1967beetle.com. You obviously have passion for the bugs ! 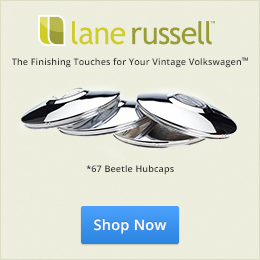 Have you had / have the chrome stand up VW emblem that was a bonnet lid item on maybe earlier bugs – its not the flat emblem but more like a flying decoration ? I’ve not had it, but I know what you’re talking about! Thanks for connecting.